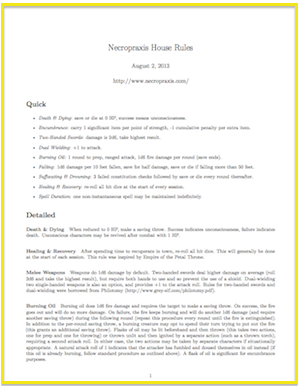 TFT had interesting rules for sustaining spells. The wizard had to concentrate on sustaining the spell and to spend a specified number ST points (which were strength, HP, and mana all in one) per sustaining round. I think being hit for damage broke concentration. 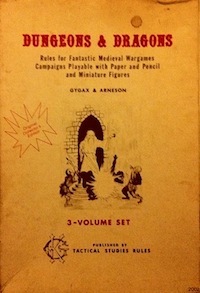 But the wizard could also PRETEND to be sustaining a spell…which could for instance make his opponent think an “image” (which costs 0 ST to sustain) was a much more dangerous “illusion” (which costs ST to sustain, and which the opponent might waste effort trying to disbelieve or fight) or a real summoned creature (which costs more ST). Or pretending might make the opponent think the wizard was casting a defensive spell like Stone Flesh or Reverse Missiles, and that deception would hold off arrow fire. So the decision to sustain a spell was a tactical gamble for all players. In a D&D-like system one might consider requiring a save or attribute check every round or turn a spell is sustained. Perhaps some sort of concentration check during stressful situations might be good. I don’t think I’d like to do something like rolling every turn, as that would be a lot of rolls. My first attempt at this will probably just be “sustained until another spell is cast” for simplicity. My only concern here is that at very low levels it might feel strange, when magic-users only have one spell slot.